((SL Advertiser)) Drop off donations to fill Just for Me Bags at any American Furniture Warehouse location. To learn more, go to abc15.com/kids, or afw.com. American Furniture Warehous is a paid advertiser of Sonoran Living. 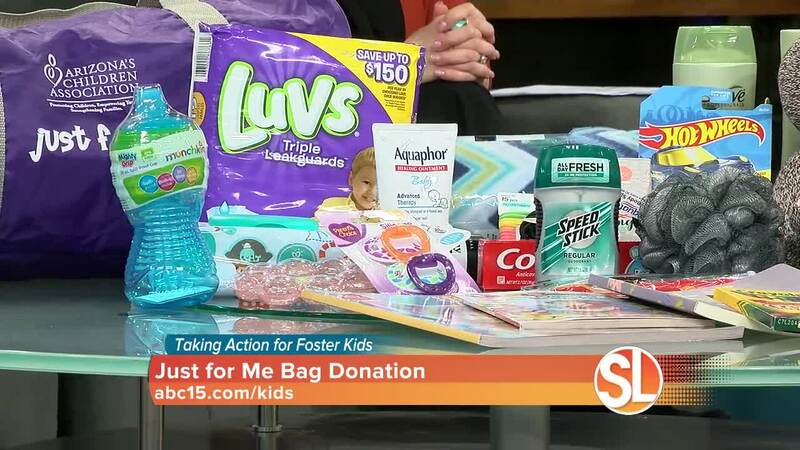 ABC15 is Taking Action for Foster Kids! We've partnered with American Furniture Warehouse to collect items for Arizona's Foster Children's Just for Me Bags. You can donate at either of their two store locations, or online at abc15.com/kids .